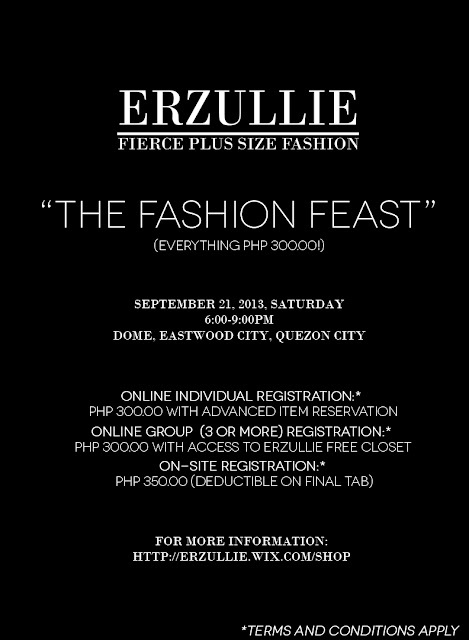 Erzullie Fierce Plus Size Fashion Philippines: PLUS SIZE EVENT: (#THEFASHIONFEAST) LAST 2 DAYS OF REGISTRATION LEFT! PLUS SIZE EVENT: (#THEFASHIONFEAST) LAST 2 DAYS OF REGISTRATION LEFT! 2 more days before the deadline of registration, Erzulliestas! To all the Erzulliestas that already registered, we are excited to see and serve you, ladies there! PLUS SIZE STYLE: "PINK INTENTIONS"